For Sanskrit Aaron Zuckerman, it isn’t easy to believe. Especially when all the people you care about leave. His dad left after the divorce. The love of his life left in second grade. His best friend in Jewish school found God and practically left the planet. Now his yoga-teacher mom is falling in love with her spiritual guru, and she’s threatening to leave, too. In a desperate attempt to keep his family together, Sanskrit tells just one small lie. And for a while it seems to be working. Because people start coming back. Sanskrit might even get the family he always wanted. There’s just one little thing in his way. The truth. 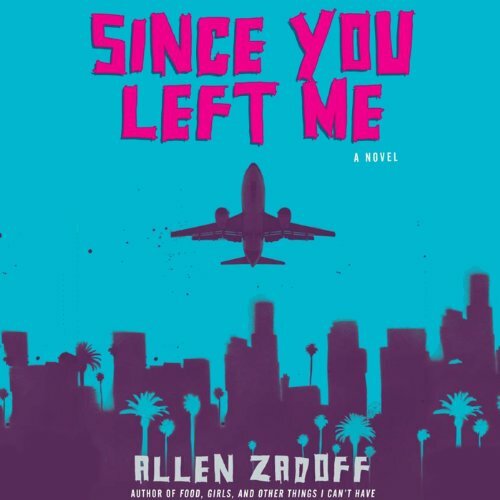 Against the setting of modern-day Los Angeles, YA author Allen Zadoff presents a funny and heartbreaking novel about the search for love - and meaning - in a world where everyone is looking for something to hang on to. ©2012 Allen Zadoff (P)2013 Audible, Inc. This is a great story, very different and humorous but underneath dealing with more serious matters such as religion and family dynamics. I liked Sanskrit a lot and couldn’t help but feel empathetic. He’s dealing with a lot of issues and feels rejected and as though his life is out of control. His parents are divorced, his best friend found religion and changed drastically (we don’t find out why until quite late into the story) and he never got over his first crush. Not to mention his mother who is, to say the least, a little wacky and comes across as quite self centred.